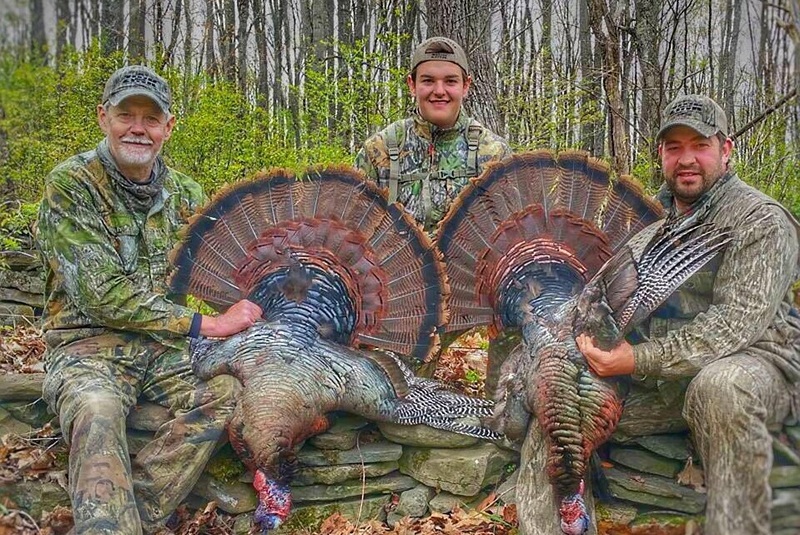 A successful turkey hunt was enjoyed by Hunter Wallis (center), his father Jeff Wallis (left) and Josh Grossenbacher, Hunter’s mentor, last fall. In February, Hunter took first place in the Intermediate division of the National Wild Turkey Federation Calling Competition. Growing up in and around Uniondale, Hunter Wallis took to the woods and fields more quickly than some kids and realized as a young boy that he had a penchant for turkey calling. By the time he was eight years old, he was already entering and placing well in local and regional turkey call competitions. 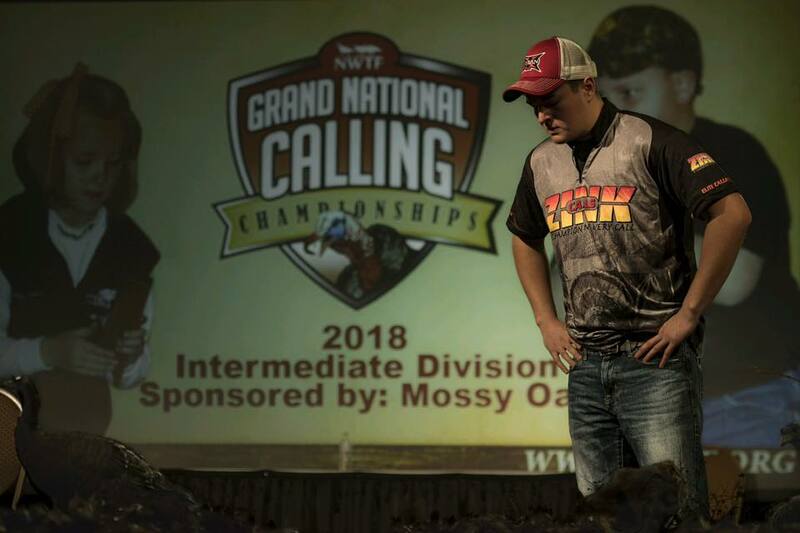 In February, Hunter, the son of Jeff and Nancy Wallis, took his seventh Grand National title at the National Wild Turkey Federation’s annual Calling Competition held in the Governor’s Ballroom of the Gaylord Opryland Resort and Convention Center in Nashville, TN. According to Hunter, who graduated from Forest City High School in 2016, he and his father, Jeff Wallis, hunted “everything under the sun,” including deer, bear, and geese. But turkeys were always Hunter’s favorite. He also took an interest in the outdoor recreation industry and envisioned himself participating in the hunting shows that he enjoyed watching. “I figured this would help me get my name out there, so I stuck with it,” he related. 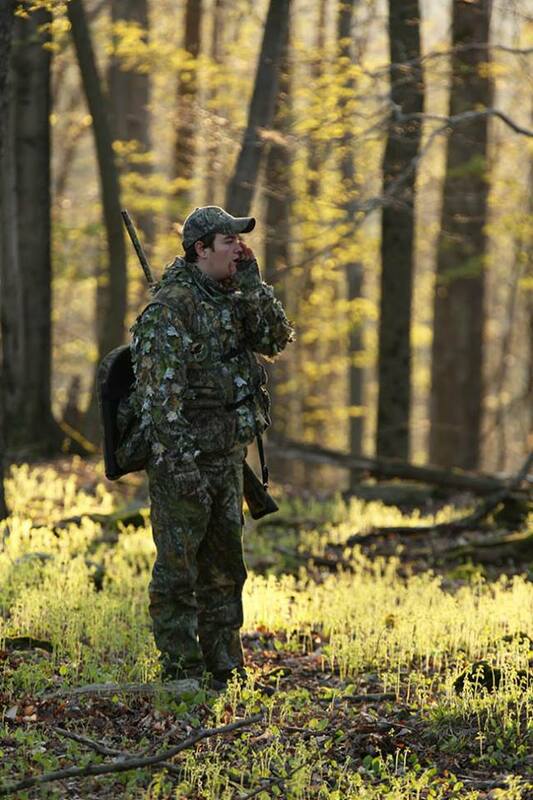 His calling did in fact catch the attention of Zink Calls, a decoy and bird call manufacturer in Clinton, OH, as well as the producers of Avian-X TV on the Sportsman’s Channel. Now, a small film crew follows him and his cohosts into the field as they hunt, and Hunter offers commentary and participates in interviews. He took a break from filming next year’s episodes to talk to the Independent this week about his passion for calling. Life is evolving rapidly for Hunter, who is currently a sophomore studying business at Lackawanna College. When he started the NWTF competitions, he was in the Junior division. At 16, he moved up to the Intermediate division and continued his winning streak against experienced 20-year-old competitors. He took his seventh win as a 20-year-old from a field of about 20 callers and will step up to the Senior level of the Calling Competition next year. “It’s the Super Bowl of the calling world,” Jeff said of the annual event, which he and his wife attend with Hunter. Unlike most sporting events, the applause and cheering are held to the end of the competition to allow the contestants to focus on their calls. “It’s pretty intense in there,” said Jeff. Participation in the youth divisions merely requires pre-registration, but Hunter will first have to qualify in a NWTF-sanctioned contest somewhere in the state to be eligible for the Senior-level contest next year. Participants need to be well-versed in a variety of calls, as the judges randomly assign a scenario to the callers, such as “early on a spring morning to call a hen from a tree,” as opposed to the fall, “when they’re all flocked-up,” Hunter explained. The hard work and determination will literally pay off as he moves up the ladder. In addition to a trophy, the cash prizes increase from several hundred dollars at the Junior level to several thousand dollars as a Senior competitor. Pennsylvania callers are regular winners in the national competition, and more girls and women are entering and taking home trophies each year. Hunter was joined in the top five this year by Haylee Newell from Dawson, PA, in third place and Dakota Chamberlain from Claysburg, PA, in fourth place. Hunter’s advice to youths who are may have an interest in turkey calling is to find a mentor, get to know the local NWTF calling circuit and go for it. 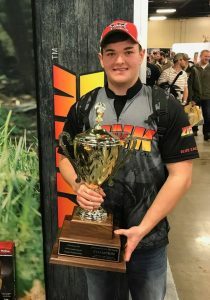 That kind of perseverance will likely be the key to Hunter’s success as he completes his education and makes the next move to marketing and serving as a spokesperson for outdoor products.